Ascolana Tenera olives are considered one of the finest olives in the world. Prized for their tenderness and delicate flavor, they grow mostly in the Marche region of Italy’s Adriatic coast. Groves sit along the Ascolano hillsides that surround the medieval city of Ascoli Piceno with green olives ripening in the sea breeze. 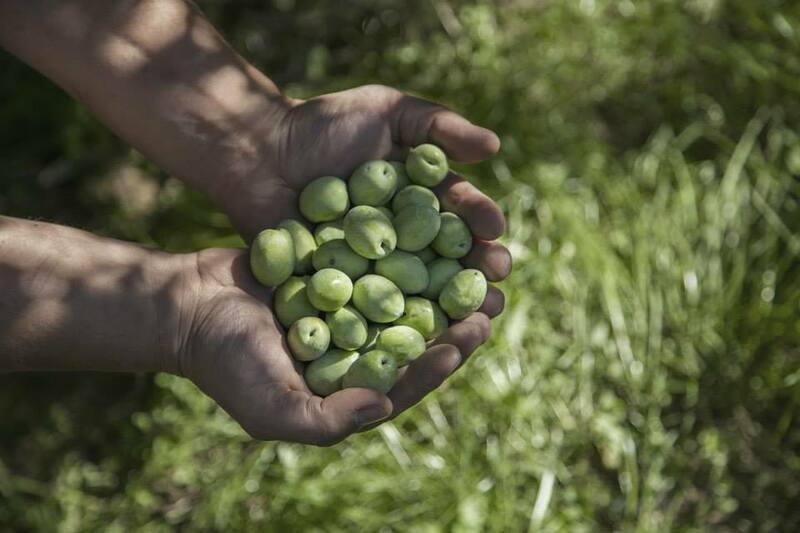 As you will see, it is a beautiful thing to know where your olives come from. Family growers like Maurizio in the Rosara area outside of Ascoli Piceno carefully cultivate this ancient olive loved by Pliny and others. Ascolana Tenera olives have been cultivated since the time of ancient Rome. Noble Romans including Pliny the Elder waxed poetically about the tender, sweet and meaty essence of this sacred olive. However, low yields and shipping challenges over the old ancient Via Salaria salt route from the Adriatic to Rome caused them to fall out of favor. Today, thanks to the efforts of local farmers, the ‘Oliva Ascolana Tenera del Piceno’ won PDO (Protected Designation of Origin) status by the European Union which guarantees a harvest price. It is one of only three olives out of almost 700 that enjoy the protected status in Italy. These delicious olives are beloved in Europe, but they are still hardly available in North America. Dominick Cerrone, owner of Good Mansion Wines,toured the L’Olio Tenero olive press house, Frantoio Angelini, with 4th generation owner Alessandro. This is where the olives are cleaned, with leaves and branches removed. Good Mansion Wines, your ambassador to Marchigiano cuisine, is proud to be the first American importer of Ascolana Tenera products. It all started in 2015 with owner Dominick Cerrone’s quest for enjoying the olives and oils his cousins enjoyed from their olive groves in Ascoli. Now, we have three ways you can enjoy this wonderful olive from the Ascolano region. 1. Fresh Ascolana del Piceno, DOP, in brine, by the pound. Savor the natural tender and sweet flavor of Ascolana Tenera olives with a touch of fresh fennel, traditionally added to the brine during the curing process. These table olives are ideal for pairing with Italian sheep cheeses and charcuterie from our shop. 2. Stuffed and fried “all’Ascolana.” This style of preparation is a traditional antipasto from the Ascoli Piceno region. 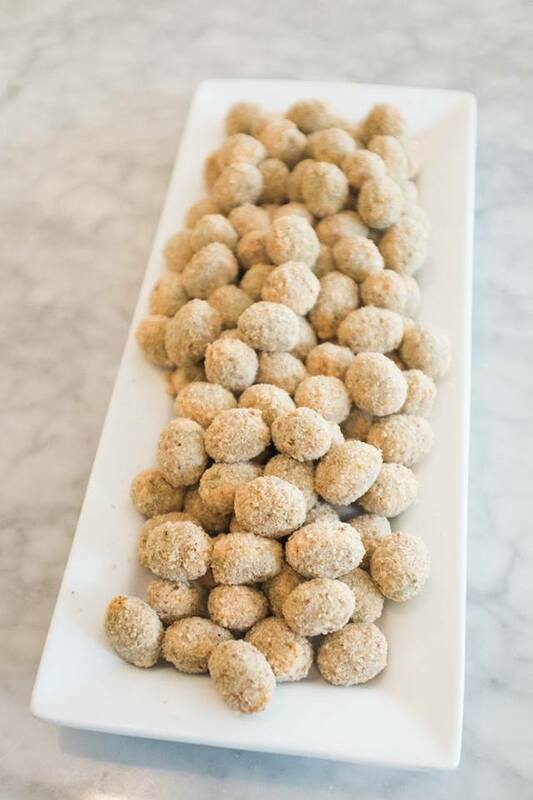 Our staff carefully pits our imported Ascolana olives by hand. Then, we stuff them with a savory blend of chicken liver, veal, pork, Parmigiano and nutmeg, and bread them. Take some home to fry up for your next dinner party! 3. L’OlioTenero extra virgin olive oil. The pride and joy of Ascoli Piceno. 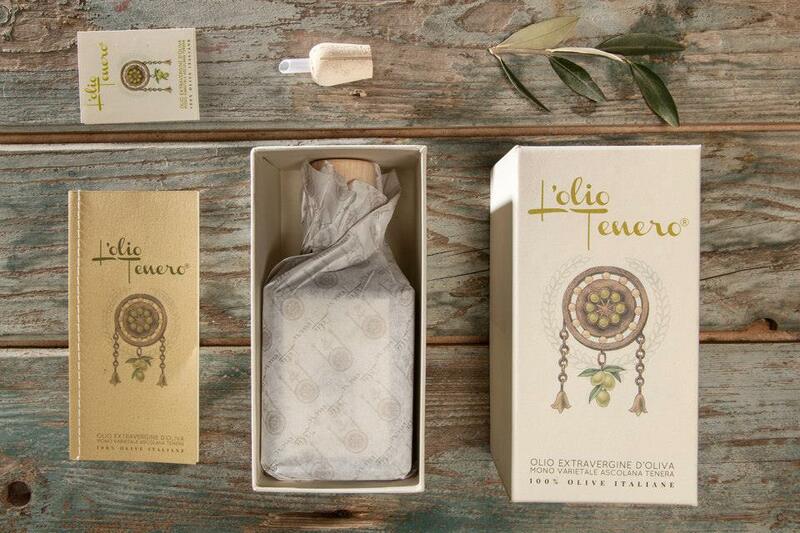 Our farmers make this spectacular monocultivar olive oil from 100% Ascolana Tenera olives. The fruit is pressed within eight hours of harvest to ensure the highest possible quality. Intense fruity notes of sun-dried tomato join with a brilliant herbaceous spiciness from its high polyphenol level, plus just a touch of excellent bitterness. Thanks to world renowned olive oil expert Dottore Leonardo Seghetti, this Gambero Rosso three leaf olive oil is the highest expression of the ancient ascolana tenera olive. 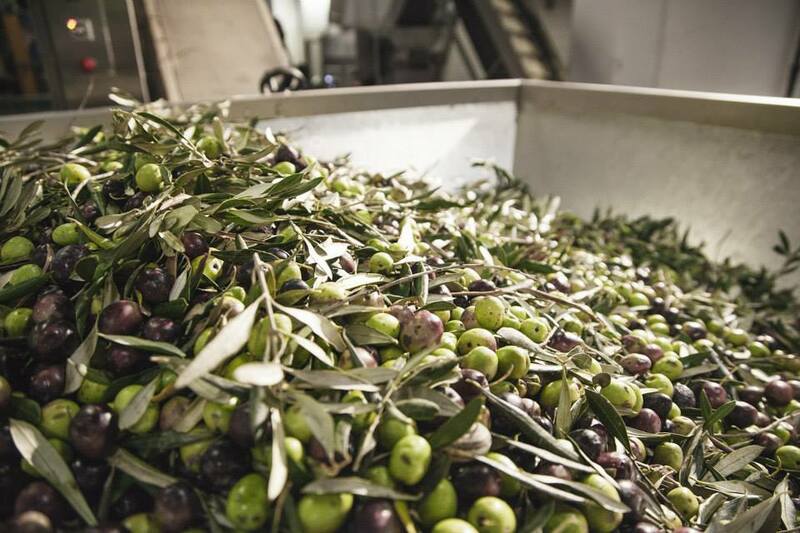 This video shows how Monica makes our olive all’ascolana 100% by hand, from pitting to breading. The perfect antipasto! Shop all of our olive oil products and more, shipped nationwide. ← Hello! Bon jour! Buongiorno!